Between July 14 and August 31, OCWS will again be running a membership promotion. Each person joining during that period will receive a $15 coupon which can be used for any OCWS event except the purchase of merchandise and membership dues (that’s one $15 coupon for a single membership and two $15 coupons for a dual membership). The coupon will be automatically added to the new member’s on line account but will expire July 15, 2018. This promotion is available to anyone who has not previously been a member of OCWS. If you have friends who have expressed in interest in the Wine Society or you think may have an interest in the Wine Society, this is a great time for them to join. Please share this opportunity with them. A total of 168 members and guests attended the July Gold Medal Mini-Tasting held at nine host sites. The evening began with a Gold medal winning wine from Gloria Ferrer, Blanc de Noir, Carneros. A blind tasting followed with six flights of two wines each. The superb selection of wines chosen by Chris Cunningham had tough competition with many sites reporting “ties” for the top wines. Congratulations to all the winners and a big thank you to the Hosts! A special thank you goes to Chris Cunningham for his selection of the Gold Medal wines. 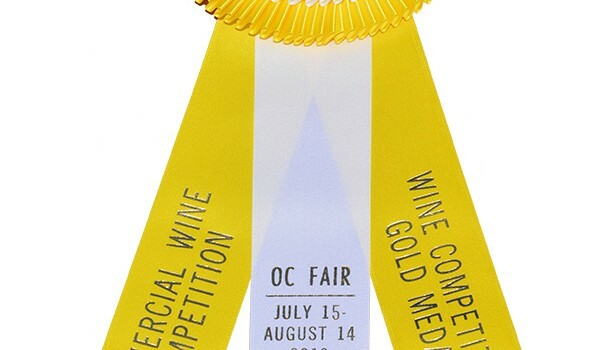 For additional information on more award winning wines, visit winecompetition.com. Please send your recipes to Bill Redding at Bill@ocws.org as a possible recipe in a future newsletter article.